Join the Florida Institute of Technology Women’s Soccer ID Camp. It will provide a positive atmosphere for developing soccer skills. This is a 4-day event from July 17 until July 20. It is open for all girls 14 to 21 years old. This ID camp will acquaint the players to the competitiveness of collegiate-level soccer. In addition, the sessions are ideal for improving technical and tactical capabilities. There will also be athletic conditioning and psychology discussions. Furthermore, this event is open to both residential and commuter registrants. This soccer ID camp will take place at the state-of-the-art Varsity Training Center in Florida Institute of Technology campus. Florida Institute of Technology, originally Brevard Engineering College, is a private, coeducational, space-grant university in Melbourne, Florida. The university has an accreditation from the Southern Association of Colleges and Schools. While its Engineering programs have an accreditation from the Accreditation Board for Engineering and Technology. Its Computer Science program has an accreditation from the Computing Sciences Accreditation Board. The university’s chemistry program has an accreditation from the Committee on Professional Training of the American Chemical Society. Its Aeronautical Science and Aviation Management programs have accreditation from the Council on Aviation Accreditation. And, its Clinical Psychology PsyD program has accreditation from the American Psychological Association. In athletics, the university fields college sports teams in the NCAA Division II, Sunshine State Conference. They are the Panthers. The Head Coach of the Florida Institute of Technology women’s soccer team is Dustin Smith. The season will be his 3rd year at the helm of the women’s soccer program. He is the Panthers’ former Assistant Coach. Moreover, Coach Smith is a Bachelor of Arts degree in business administration graduate from Charleston Southern University. Then, the Panthers women’s soccer Assistant Coach is Jessica Monarch. She is the 2011 Southern States Athletics Conference Defensive Player of the Year awardee. She is also a 2-time Faulkner’s Champion of Character award recipient. 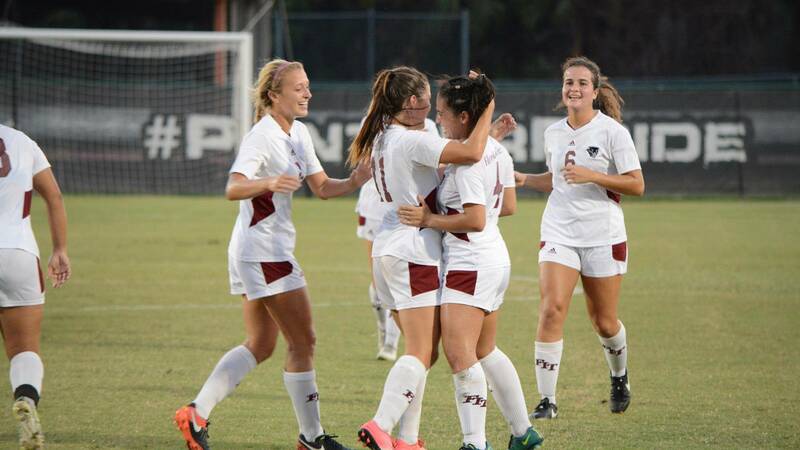 Join the Florida Institute of Technology Women's Soccer ID Camp. It will provide a positive atmosphere for developing soccer skills.